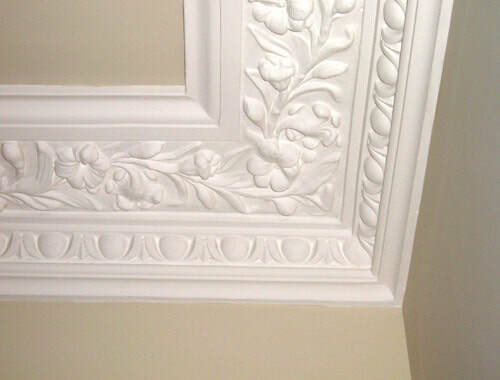 We manufacture, supply and install authentic ornamental plasterwork and are happy to match existing designs. Please browse through the various galleries of our most popular designs and do not hesitate to contact us if you require any further assistance, quotes or samples. Experienced fitting service available or supply only. We are happy to answer any questions you have and to give you an estimate of the costs, work and timescale involved. 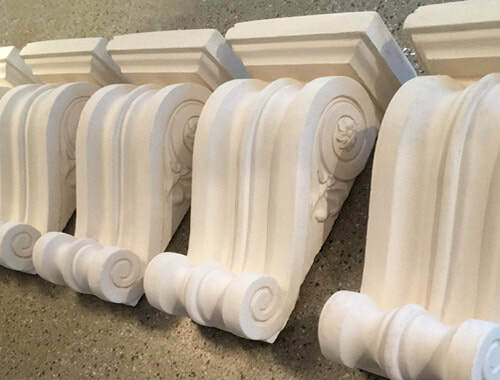 We have over 100 existing designs of cornice for you to choose from and we also create and manufacture new designs to meet your needs. 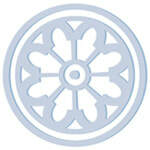 We take great pride in the quality of our work and provide a high quality, reliable and efficient service. We understand that having this type of work can be disruptive and we make every effort to ensure that this disruption is kept to an absolute minimum. 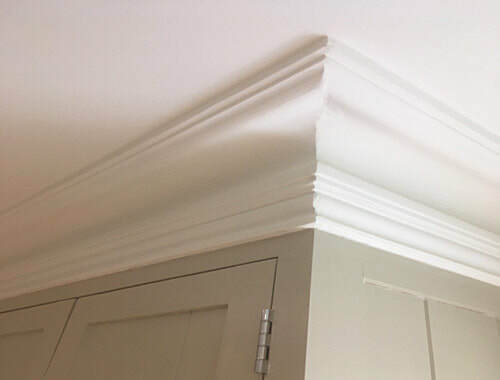 Once your plasterwork is finished it will look beautiful, last for many years, provide you with much pleasure and enhance the value of your property. 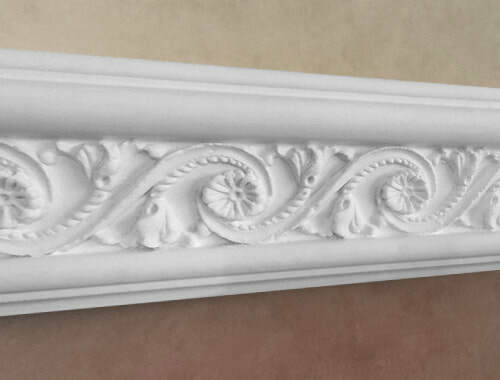 Are you looking for an original design or one that matches your existing cornice? 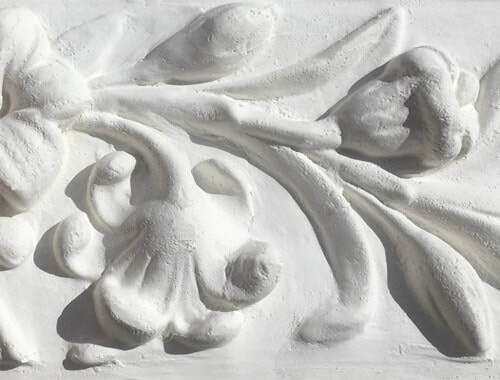 Do you have existing plasterwork that needs repairing? Whatever you require, give us a call and we can discuss what you are looking for with no obligation. You can rely on us to be punctual and provide our service to fit in with dates and times that are convenient to you. We also aim to keep the mess to a minimum and to tidy up as much as is possible on completion of the work when we are working in your home. 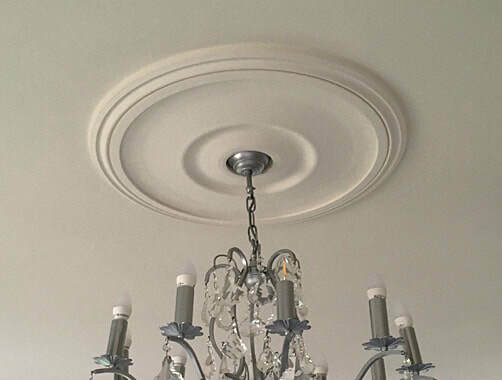 "​We have worked with Martin from Feature Ceilings for over 10 years on many high end renovations, including a complete production of a significant set of 4 story fluted plaster columns in a grade 1 listed building in Bath, as well as lots of complicated enriched cornicing. The quality is exceptional and seamless, with the right balance to imitate the old as well as creating stunning brand new plasterwork. I cannot recommend Feature Ceilings enough".